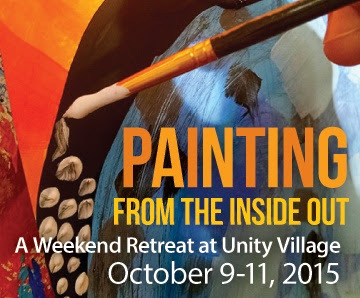 I am excited about being able to offer this retreat! Not only is it happening in my favorite time of year and in a beautiful setting, the rich and creamy icing on the cake is that I am co-facilitating with two of my favorite women - my business partner and good friend Jenny Hahn and my teacher, mentor and friend Sarah Oblinger.There will be room for lots of folks to paint and form sacred community while getting a taste of three different facilitator styles. If you feel moved to join us click HERE for more information and to register.